Many experts and parents agree that ignoring problem behaviour is one of the best methods of toddler discipline, and a short breather is basically an extension of this. So What Is Time Out ? It involves placing the toddler in a room or designated spot (for example an empty room. Some experts recommend a 'naughty step' on the stairs) to sit alone for a short period of time. It is very different from the Victorian method of placing a child in the corner, or locking him in his room. The aim should not be to humiliate the toddler. It's simply a time to calm down and reflect. Experts recommend putting a child in timeout for no more than 5 minutes. Dr Tanya Byron, well known in the UK for her shows Little Angels and The House Of Tiny Tearaways, says the child should be isolated 1 minute for every year s/he has been alive - for example 2 minutes for a 2-year-old. Gina Ford, in her book The Contented Toddler Years, recommends using Time Out after a toddler ignores a verbal behaviour warning. Other experts claim 2 warnings are appropriate - so use your judgement. Dr Christopher Green, in New Toddler Taming, says the moment to use it is 'when the child reaches a pitch of crying, aggravation or limit-testing that can no longer be ignored'. The point is that it should never be used a first response to problem behaviour. Go to toddler discipline for advice on other techniques to use before you reach the stage where you need Time Out. 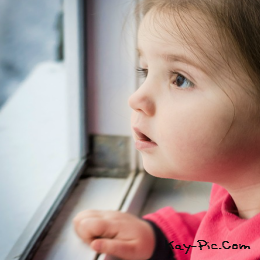 Firstly, toddlers crave attention - anything is better (in their eyes) to being ignored. It makes sense that extreme ignoring is the best solution to behaviour that is getting out of hand - the toddler no longer has an audience. It also restricts movement around the home. Young children hate this and will be keen to have their freedom back. Equally important is the chance it gives you to cool off. In the heat of the moment we all say things we regret, and a couple of minutes away from your toddler helps you collect yourself,calm down and regain the ability to deal with your child more effectively. How Do I Carry It Out? Lead or carry the child to the safe Timeout place. If you haven't yet lost your temper, tell her that she will stay there until she is calm (if you are feeling stressed it is better to say nothing at all). 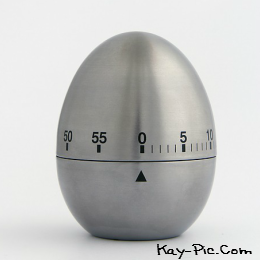 A kitchen timer may be appropriate to show an older toddler how long he will remain isolated for. Leave the room, and do not communicate with the child at all during Time Out. Return after the predetermined time. Say 'Are you going to say sorry?' (or whatever fits the circumstances). Repeated behaviour problems should be dealt with in the same way - another Timeout session. This may feel maddenly ineffective at first. Stick with it - as long as you are consistent, your toddler will back down sooner or later. There is disagreement among the experts on this one. Some say that it works with children of 18 months, others that 3 is the best time to introduce it. However these same experts also advise putting a younger toddler in his cot as a form of time out - so the issue is a little confused to say the least! As with all childcare theories, the proof is in the pudding. Remember that no toddler magically follows the 'average' developmental process. If you feel that Time Out might be a possibility then it is worth trying. I would look for behaviour like biting and laughing maniacally, or living room destruction carried out with a gleam in the eye before I use this strategy. A boring, empty room is ideal, but few of us have that to hand. Some experts advise against the bedroom. Both Christopher Green and Gina Ford disagree - and anyway, it may be the only quiet place available. The hall is also a possibility, especially if carrying the toddler upstairs is too difficult. If I need to isolate my child while at a friend's house, I take him to an empty room, and stay with him. I have my back to him and completely ignore him. New Toddler Taming, Dr Christopher Green, 2001, Vermilion. The Contented Toddler Years, Gina Ford, 2006, Vermilion. The Best Advice I Ever Got, edited by Sally Lee, 2006, Hinkler Books Pty. Caring For Your Baby & Young Child, edited by Steven Shelov, 1997, Oxford University Press.